2018 saw the UK metals industry in apparent good health. The steel industry was buoyant, with UK players investing to upgrade their facilities and making overseas acquisitions. Lightweighting remained a key market driver for aluminium, particularly in the context of electric vehicles, and UK innovation and research were in demand from global organisations. But he says that steel producers in the UK pay over 50% more for their electricity than their French and German competitors; this amounts to £50 million a year in additional costs. 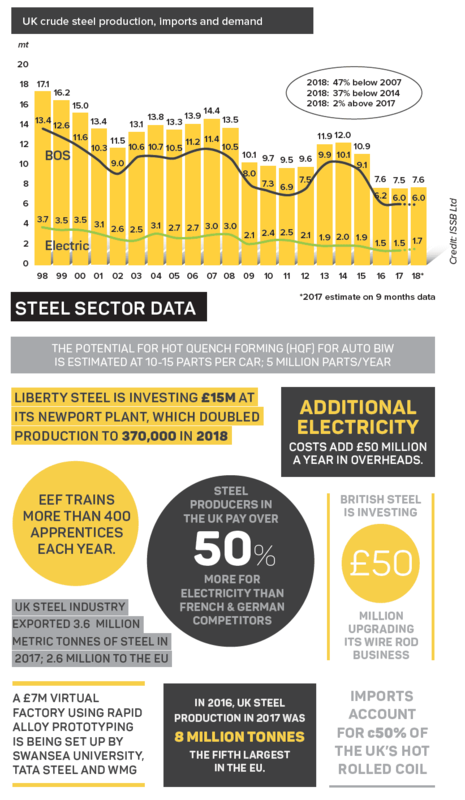 Nevertheless, the UK steel industry has been making important long-term investments. 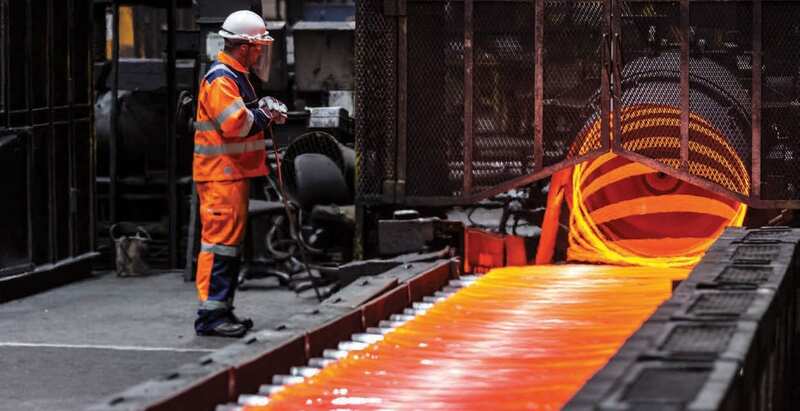 Liberty Steel is investing £15m at its Newport plant to try to increase its UK market share by displacing foreign imports of hot rolled coil used in construction, automotive and pipe manufacture. 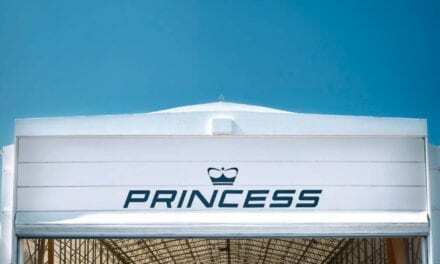 The plant doubled production to 370,000 in 2018 and is aiming for further growth in 2019. Foreign imports currently take around 50% of the domestic market. The first phase includes advanced descaling equipment to further improve the surface quality of the product, along with additional automation to increase process efficiency. Planning work and front-end engineering is also continuing at Newport for a much larger investment involving the installation of an electric arc furnace and casters for liquid steelmaking and slab production at the site. Meanwhile, Tata Steel, still in the throes of getting its proposed merger with thyssenkrupp approved by the European Commission, demonstrated its commitment to continued manufacturing in the UK by starting work to extend the operational life of its Blast Furnace 5 in Port Talbot, Wales, by up to seven years. Tata Steel in extending the life of Blast Furnace 5 at Port Talbot. Gestamp is developing new technologies for the cars of the future. 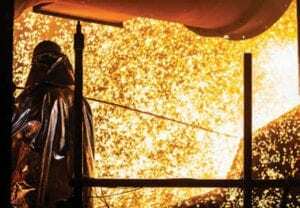 British Steel, which was created in 2016 when Greybull Capital bought the Long Products Europe business of Tata Steel, is investing £50 million to upgrade its wire rod business. In 2017 British Steel purchased FN Steel, a premium wire rod business in the Netherlands with its own wire drawing facilities, and, says Sims, the two businesses are now fully integrated, entirely complementary and give an excellent platform for growth. Downstream from primary metal manufacture, automotive component manufacturer Gestamp opened a new plant near Wolverhampton that will have one of the largest hot stamping lines in the world. It will produce high-strength steel parts for customers including JLR, Nissan-Renault, Volvo, Ford, BMW, Toyota and Honda. The plant will also manufacture aluminium parts in an innovative transfer servo press, including battery boxes for electrical vehicles. Gestamp is part of an Advanced Propulsion Centre funded project to validate the use of the Hot Quench Forming (HFQ) process for body-in-white and chassis applications. The process allows complex components to be formed from ultra-high-strength aluminium. This gives the opportunity to reduce part count, weight, costs and tooling investment. Exclusive rights to HFQ are held by Coventry-based Impression Technologies, which two years ago opened an in-house production facility. It is now making around 25,000 parts a year for commercial customers and has just secured business that will probably take volumes to around 100,000 a year – but the company doesn’t see its future as a volume producer. CEO Jonathan Watkins says: “Our model now is to use this facility as a showcase for the technology. Our strategy is one of licensing the technology. “We are also creating a not-for-profit partner network to make HFQ, which is a new genre of metal forming, into a global standard – the Bluetooth of hot forming aluminium. So, wherever you buy it around the world it will be made to a common standard and will effectively perform in the same way. The mechanical, geometrical and microstructural properties will be the same. “We are potentially working with over 20 OEMs on projects at different stages. These include a lot of electric vehicle projects – for things such as doors and closures and, increasingly, battery boxes.” He sees massive potential for HFQ, with a possible market of 30 to 40% of all vehicles by the mid-2020s from electrification as well as applications on premium cars and SUVs. “We think that typically there would be around 10 to 15 parts on each car, which makes for a market opportunity of 5 million parts per year,” he says. Gear of the Future’ project. Another company making the most of the demand for strong, lightweight aluminium parts is Alvant, a specialist iwn aluminium matrix composites (AMC). 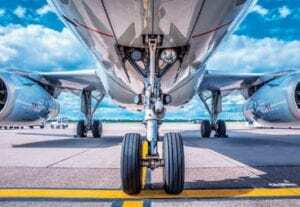 The company was selected by Safran Landing Systems to participate in the £28m ‘Large Landing Gear of the Future’ R&D project and it is also working with Ford on hybrid-AMC components for high-performance production cars. In many cases the solution has been to turn to carbon or polymer-based composites, but although they offer light weight and high strength they do have limitations in terms of fatigue and damage tolerance and operating temperature. Historically, Alvant has focused on continuous fibres as a reinforcement but more recently has expanded its offering to include particle reinforced composites and syntactic foams – very low-density materials produced by dispersing hollow glass spheres in the matrix to create very small air pockets. Alvant has also recently launched a new multiphase material with a long-fibre reinforced outer layer and a syntactic foam inner core. “We can get the density down to 1.5g/ cm3, which is very close to magnesium and carbon composites, rather than 2.7g/ cm3 for solid aluminium. You also get a huge uplift in stiffness.” Thompson says that the big push will be for the electrification of automotive power trains. “We recently worked on the rotor of an automotive electric motor and were able to reduce the weight by 40%, while retaining the stiffness. 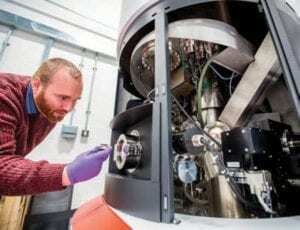 New high-performance steels to meet the needs of vehicle electrification and other future technologies could be developed up to 100 times faster using a method known as Rapid Alloy Prototyping. A new £7m virtual factory using the technology is being set up by Swansea University, in partnership with Tata Steel and WMG, at the University of Warwick. Rapid Alloy Prototyping, which has been developed at the MACH1 labs at Swansea University and WMG’s Advanced Steel Research Centre combines physical testing and computational modelling to rapidly assess hundreds of small-scale samples for strength, electrical and mechanical properties, as well as durability and resistance to corrosion. Only a few grams of a new alloy are needed. At Swansea, samples will be made using an induction melter under a controlled atmosphere, while WMG will use a four-power-feed ingot printer. One area where Rapid Alloy Prototyping could be particularly important is in boosting steel’s environmental credentials. In June, the Brunel Centre for Advanced Solidification Technology (BCAST) opened the Advanced Metal Processing Centre (AMPC) that, together with its Advanced Metal Casting Centre (AMCC), which opened in April 2016, will demonstrate technologies developed in the laboratory at an industrial scale. This gives industrial partners the facilities to develop and trial innovative light alloys and components before full implementation. The two facilities also provide a route for delivering the fruits of the research carried out by the Future LiME Hub – a national centre of excellence in liquid metal engineering. Dr Mark Jones, Manager of the LiME Hub, says: “We have mapped out our technology and we are aligning to exactly what industry is looking for – going from the car maker down the supply chain.” Areas covered include fundamental research, new alloy development and industrial applications. Recent work includes a project on carbon aluminium automotive hybrid structures (CAAHS) with Bentley Motor Company, Gordon Murray Design (GMD), Innoval Technology, and Constellium. Looking ahead, Gareth Stace says one thing we need to monitor very closely is the continued increase of steel imports into the UK. He adds that we are probably going to see even more because of the effect of Section 232 measures – President Trump’s tariffs on steel imports to the US. So at the moment steel isn’t being diverted from the US into other markets. In fact, it has become a more attractive market because the higher prices have allowed importers to improve their margins. But, but in the longer term, US steel makers may bring more capacity online to take advantage of the price. He says that the UK still needs more investment to safeguard its position and more confidence. There are good omens though, and he praises the way new entrants to the market have re-energised the workforce and shown they are prepared to invest. 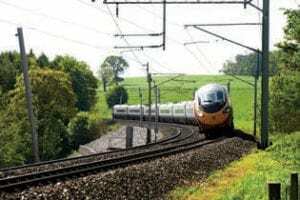 British Steel has won a two-year extension to its supply contract with Network Rail that it will see it supply a further 4,000km of rail on top or the 9,000km supplied under the original 5-year contract. The order includes the supply of innovative new rail material including HP335 which cuts life cycle costs through reduced grinding frequency, reduced wear and extended rail life, and Zinoco, a corrosion protected rail designed for aggressive environments. It has also won major new orders from Infratil, the Belgian infrastructure company, and London Underground. Constellium has set an R&D centre at Brunel University campus for its automotive industry activities. 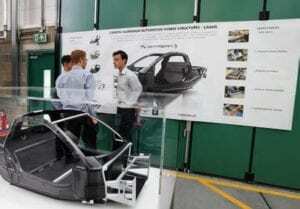 It will form, join and test prototype automotive components such as Crash Management Systems, body structure components and battery enclosures for electric and hybrid vehicles at the facilities. In 2016 it established a University Technology Centre at Brunel focused on aluminium alloy development. Novelis is supplying aluminium sheet for the new London Electric Taxi. The use of lightweight aluminium sheet will reduce weight and boost the driving range. Novelis is supplying its AdvanzTM 5F- s5754 RC material for the upper body and AdvanzTM 6F – e170 for the motor cover. The material will come from the Novelis plant in Nachterstedt, Germany. Liberty Speciality Steels and the AMSCI-funded CASCADE metal powder project are investing £4m to set up a vacuum atomisation plant to develop a new generation of speciality alloy metal powders for additive manufacturing. An additional £4.6m of funding is coming from the Tees Valley Combined Authority. The facility will be based at the Materials Processing Institute’s Tees Valley campus, providing Liberty with access to its specialist scientific knowledge and expertise. Chinese steel company Nisco is setting up a NISCO-UK Research Institute in the engineering department at the University of Leicester. Nisco provide £400,000 per annum in funding with the University making non-financial contributions. A key area of research will be on the development and application of new ‘Super Slab’ casting technology for extra-thick steel products for use in harsh environments with applications for wind turbines and marine environments. Research commissioned by Wyelands Bank showed that reveals Pakistan, Turkey and India were the UK’s fastest growing export partners for iron and steel. Exports to these markets are expected to grow by 5.9%, 1.4% and 0.9% respectively in the years to 2021. Iron and steel exports to these three markets were worth $1.4bn in 2017 and the projected growth could generate an extra $29m a year for the industry’s exports.